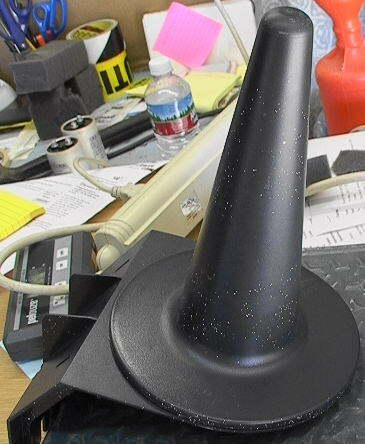 Up for sale is a Plastic Cone Antenna With Ground-Plane Disk & Mount. 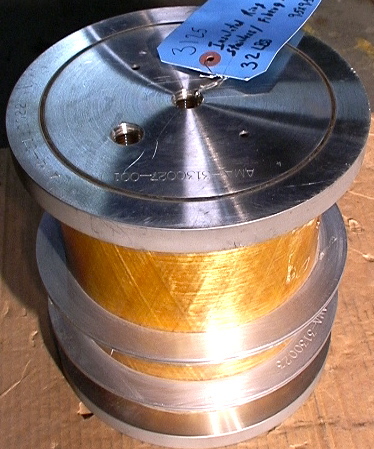 Cavlon Item # 78 Dimensions: 9"x6.5"x16"
For sale is a 9.5" Insulated Stainless & Fiberglass Cylinder Assembly. Cavlon Item # 3125. Raw weight is 32 lbs. Raw dimensions are 9.5*9.5*10". For sale is a Set of 4 MATRICS (now Symbol now part of Motorola) RFID Antennas 900mhz ANT-001. Cavlon Item # 39. Each antenna module is about 29 by 13 by 2.5 inches (including the mounting bolts on the back). 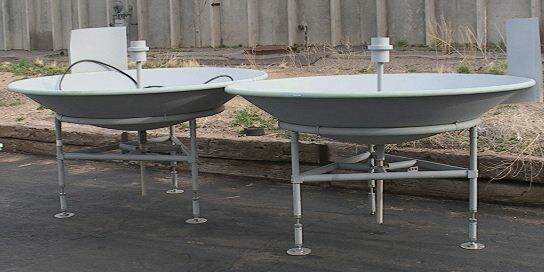 For sale is a Doppler Radar Parabolic Dish Antenna 91" for RASS r emote air temperature measurement. Cavlon Item # 119.